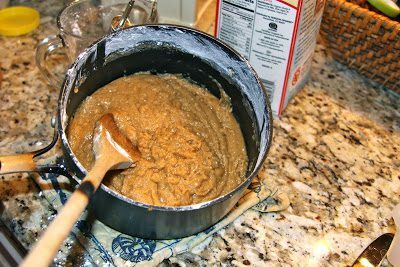 In a large bowl, mix together sugar, baking soda, flour and salt. Set aside. 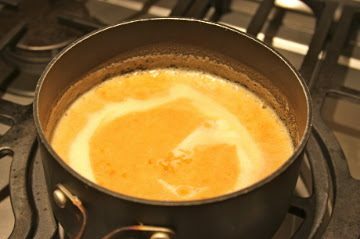 Combine butter, water and peanut butter in saucepan and bring just to boil stirring to melt the peanut butter well. 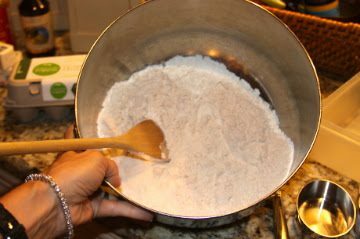 Pour over flour mixture. Mix together. 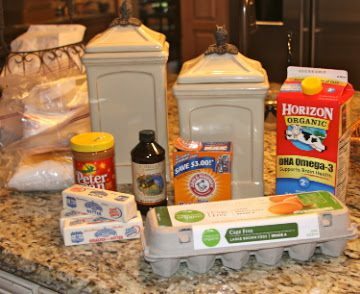 Add milk, vanilla and eggs, and mix well. 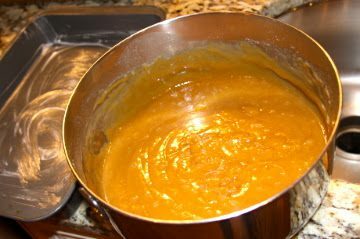 Pour into a greased 9 x 13 pan. 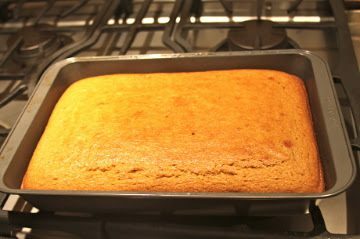 Bake at 400F degrees for 20 minutes. Cool. 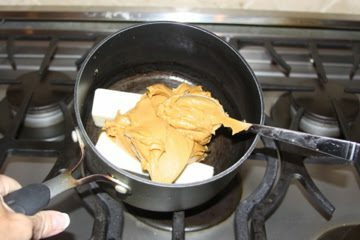 Bring butter, peanut butter and milk to boil in saucepan. Add powdered sugar. 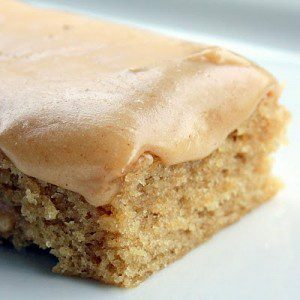 Mix well, and add more milk if necessary to get desired consistency for the frosting. 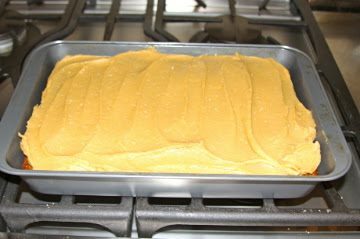 Spread frosting over cooled cake.